Republican presidential candidate Mitt Romney has released his much-talked-about tax returns, the Daily News reports. With Newt Gingrich's landslide victory in mostly blue-collar South Carolina, Romney had been facing increased pressure from Democrats and Republicans to release his tax returns. He earned $21.7 million in 2010 and paid an enviable tax rate of 14 percent, partially a result of charitable contributions. The former Massachusetts governor gave back $3 million in federal taxes. 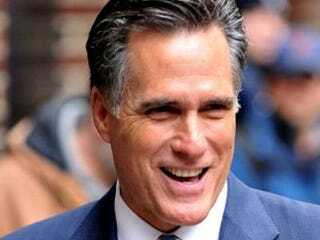 Romney, who is Mormon, contributed $3 million to charity, about half of which went to the Mormon church. His income is mostly from past investments, since he hasn't earned a real salary in years. Because capital gains are taxed at much lower rates than wages, Romney saves about 20 percent in taxes. His annual income puts him in the top 1 percent of Americans. Romney's campaign said he will pay a similar amount in taxes this year, with a 15.4 percent tax rate. One thing we are sure about: Romney has the best fundraising ability of any of the candidates. But will that matter with blue-collar Republican voters? Florida will be a huge test for both of the front-runners. What also stands out in this story is the low tax rate that Romney and many other wealthy Americans get away with paying. If he wins the GOP nomination, we wonder how much Obama will use that as an attack point and be able to paint Romney as an out-of-touch Republican.